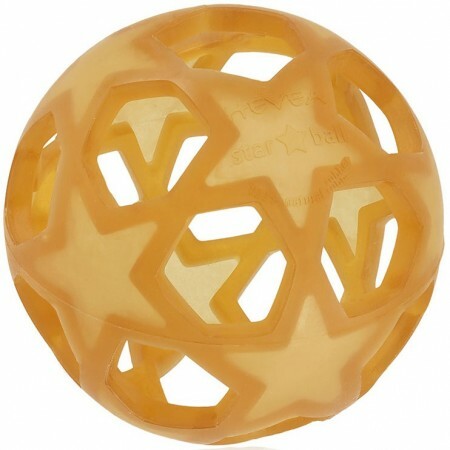 100% natural rubber ball with star design. 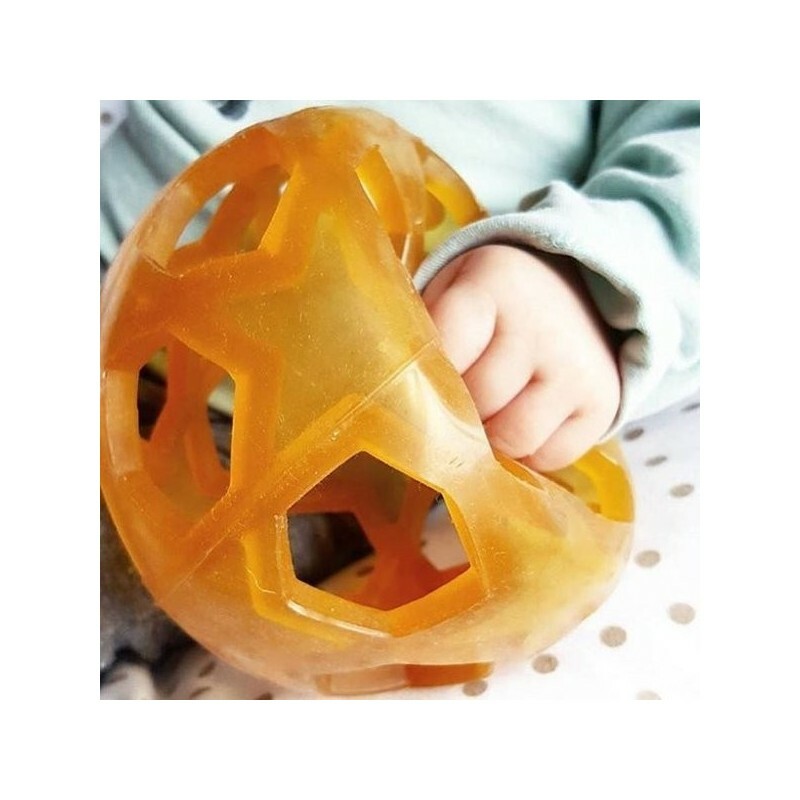 Soft, malleable, bounceable and easy for tiny hands to grasp. BPA, phythalate and PVC free. Suitable for new borns and up. Soft, malleable and easy for tiny hands to grasp. Patterned texture which is ideal for soothing and massaging irritated gums. 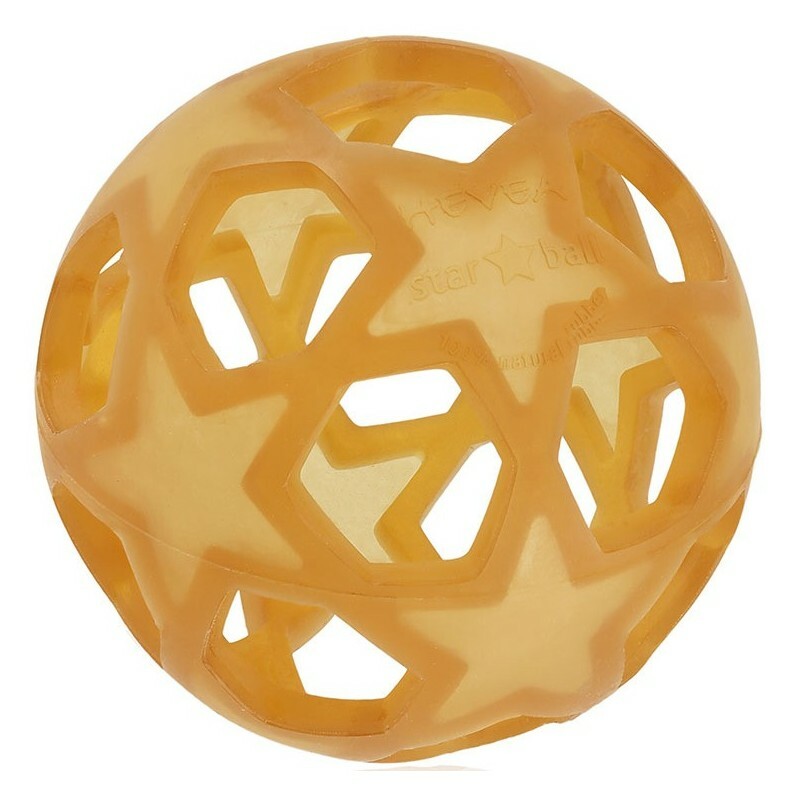 Bounce-able and makes the ball an ideal toy for babies during their early development stage. Can be sterilized in hot water for max. 1 minute. Perfect for little hands and has no nasties. Perfect to chewing and throwing. My baby loves this as a teether. It's great to know the natural rubber is non-toxic. A great alternative to plastic baby toys.